FULLY LOADED LTZ! Original Window sticker was $36,720! Features Power sunroof with 2nd row skylight, BOSE 11-speaker surround sound system, heated driver and passenger seat, leather seats, heated steering wheel, OnStar Navigation, Pandora radio play, 10-way power drivers seat, remote start, forward collision alert, lane departure warning, blind zone alert, rear park assist, rear cross-traffic alert, keyless start, 6-speed automatic transmission, 19-inch aluminum wheels, back-up camera, dual-zone climate controlled temperature, Bluetooth, WiFi Hotspot, 2 USB ports, Satellite Radio, rear spoiler, LED fog lamps, 120-volt power outlet and a 3.6L direct injection engine. 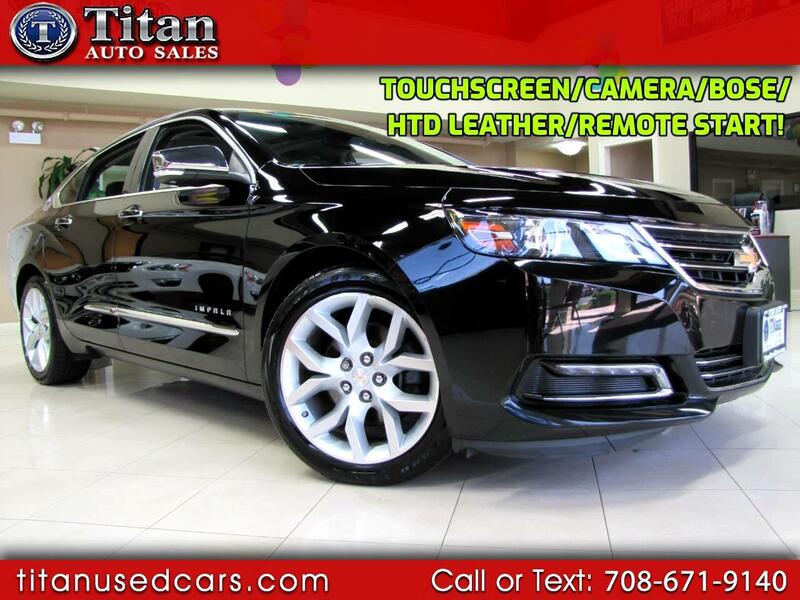 This Impala LTZ is fully loaded and in excellent condition! Come in and see why our Quality, Prices, and Reputation can't be beat. Buy with confidence from our AAA++ rated business. Check out our excellent reviews on Google.